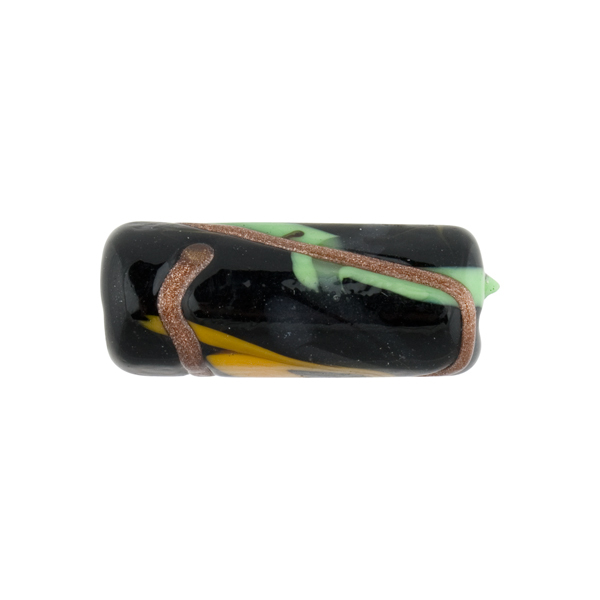 This is a Murano Glass tube of opaque black with abstract designs of a orange, green and aventurine. The tube is approximately 20mm in length and a diameter of 8-9mm. A 1mm hole runs lengthwise on the bead. The exact location and design is unique for each of these handmade beads.